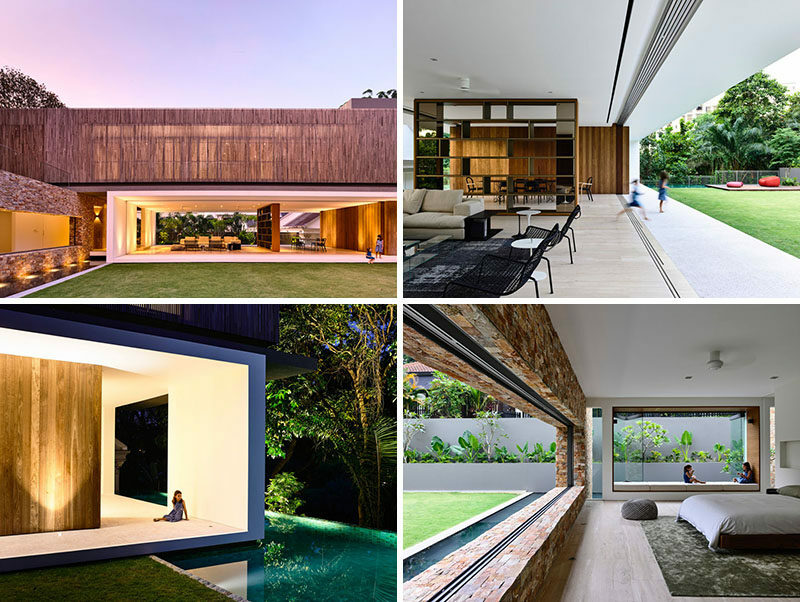 Architecture firm ONG&ONG have designed this home in Singapore that makes the most of indoor/outdoor living. 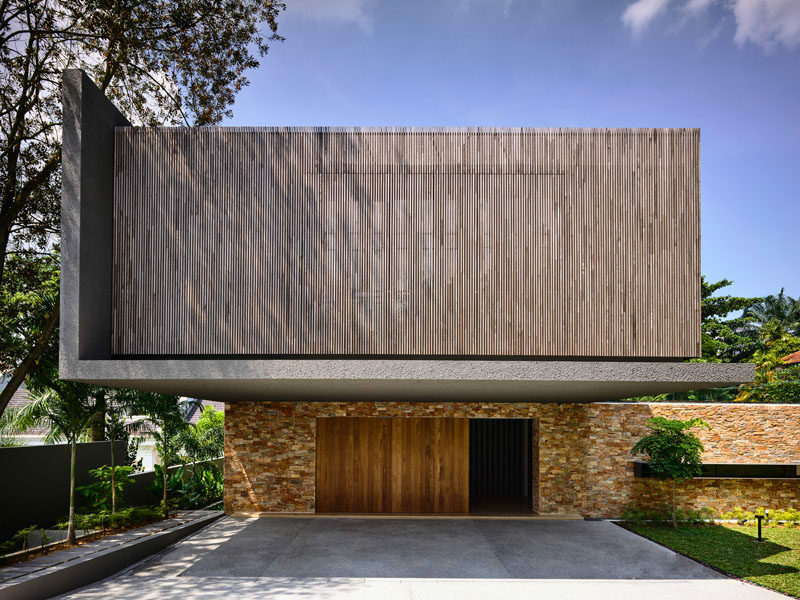 The main living level of the home completely opens up to the grassy backyard, and on the other side of the home there’s lush tropical plants. At the end of the backyard and house, there’s a small swimming pool. The living and dining room share the open floor plan with a large bookshelf divider helping to define the areas. 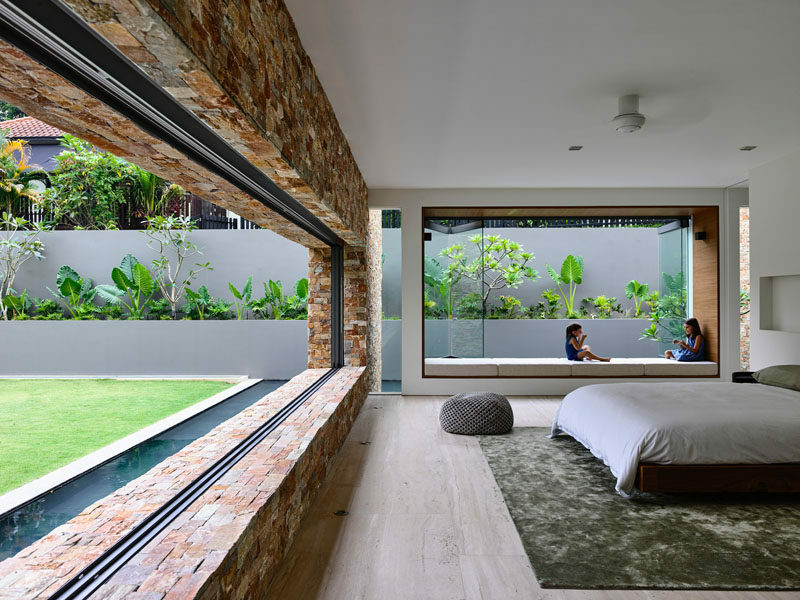 The entire length of the kitchen is open to the swimming pool. Also on the main level is one of the bedrooms, it too is open to the backyard and has a large window seat with cushions. 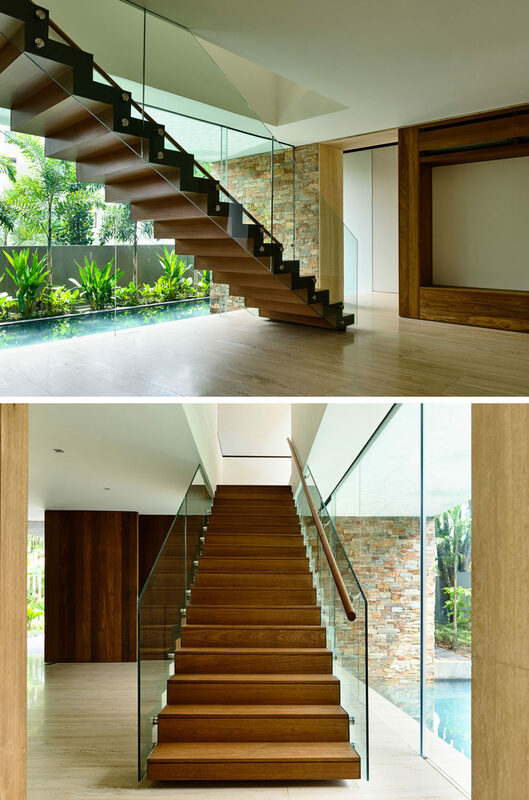 Wood stairs with a glass railing leads you to the upper floor of the home. Upstairs, there’s more bedrooms, like this one that has wood shutters on the window for privacy, and the back of the headboard becomes the bathroom. Here’s a look at another one of the bathrooms, with plenty of tropical plants to make it feel like you’re outside. 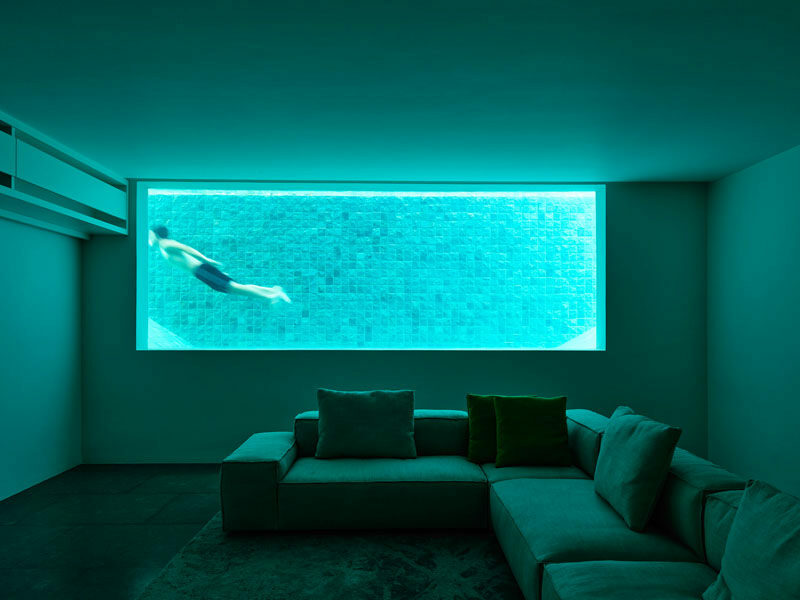 Finally, an interesting and somewhat hidden feature in this home is found in the basement, where the media room has a large window looking into the pool.